For a warm, comforting salad to devour during the chilly months, this hearty kale situation is just what you need. 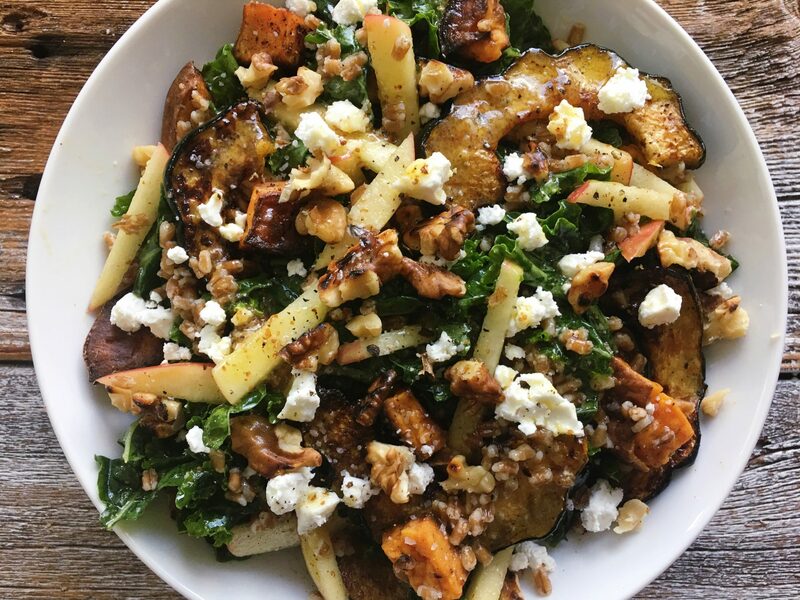 Brimming with sweet apples, hearty wheatberries, toasted walnuts, and a hefty crumbling of goat cheese, it has all the necessary components for a filling and flavorful salad. Double the vinaigrette and save some to douse on roasted veggies or meats.